IntelliTrack® is proud to partner with premium hardware manufacturers to bring the best equipment to our customers. From rugged mobile computers to fast, user-friendly barcode printers, our hardware partnerships provide the highest quality devices that pair perfectly with IntelliTrack software. This powerful barcode printer stands up to even the most demanding jobs. Its full functionality, comprehensive features, and user-friendly interface make it ideal for both retail and industrial use. 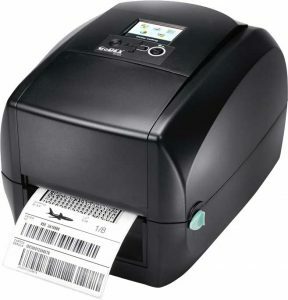 The RT700i offers a color LCD panel for intuitive operation, rod-less label roll holder for easy loading, and the innovative “C” button for easy label calibration.